Recently, General Chalermchai, head of the Thai army, told the media that the three Thai academics who objected to plain clothes soldiers and police attending the Thai Studies Conference to take notes and photograph people, should stop all political activities and stop all criticism of the junta. He claimed that the country was still in crisis and not ready for political activity. A media outlet has been punished for calling the government a dictatorship and one of the few decent journalists faces prosecution for writing the truth. 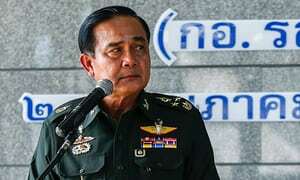 Generalissimo Prayut added his putrid hot air comment to the discussion by saying that Thailand’s democracy had not developed properly “because Thai people had no morals”. Perhaps he was just talking about himself and his gang of anti-democratic criminals? It has been revealed by the military that the student Pai Daodin is now in jail because he was “stubborn” and refused to attend an “attitude changing session” in a military camp for the so-called “crime” of opposing the military coup. Of course the real criminals are those who staged the coup and now rule the country by dictatorship, denying all rights to Thai citizens. We need more stubborn citizens like Pai to rid us of this vile junta! 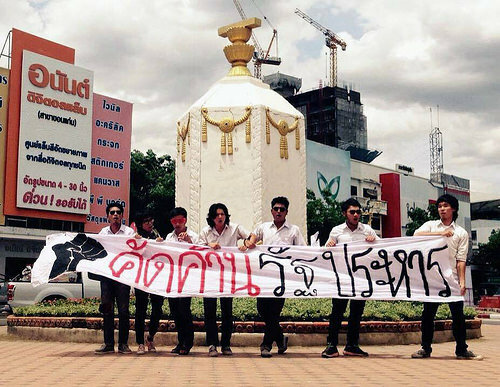 At the same time the junta has been trying to force prominent people to sign a “Civil Society Agreement” to abide by the junta’s twenty year plan for Guided Democracy. This is supposed to be part of the junta’s “reconciliation” strategy. It is more like reconciliation under duress. No doubt part of this reconciliation strategy was to jail Red Shirt leader Jatuporn for a year for saying at a protest that former Prime Minister Abhisit had blood on his hands. 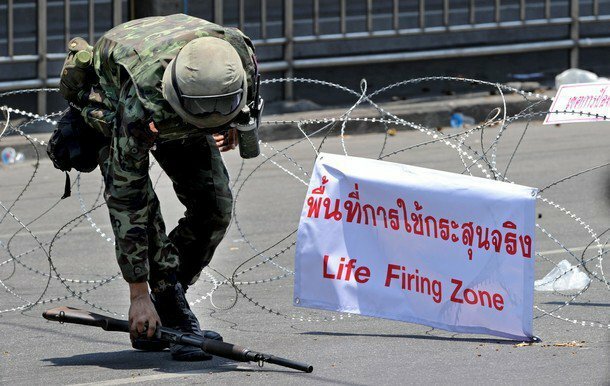 Abhisit was Prime Minister in 2010 when his military appointed government ordered “live fire zones” to be set up in Bangkok in order to repress the peaceful Red Shirt protest which was calling for democratic elections. Ninety civilians were shot down during this military action. An official report revealed that the military had used 117,923 bullets against Red Shirts, 2120 of which were sniper bullets. The only military or police casualties were due to “friendly fire” from security forces. 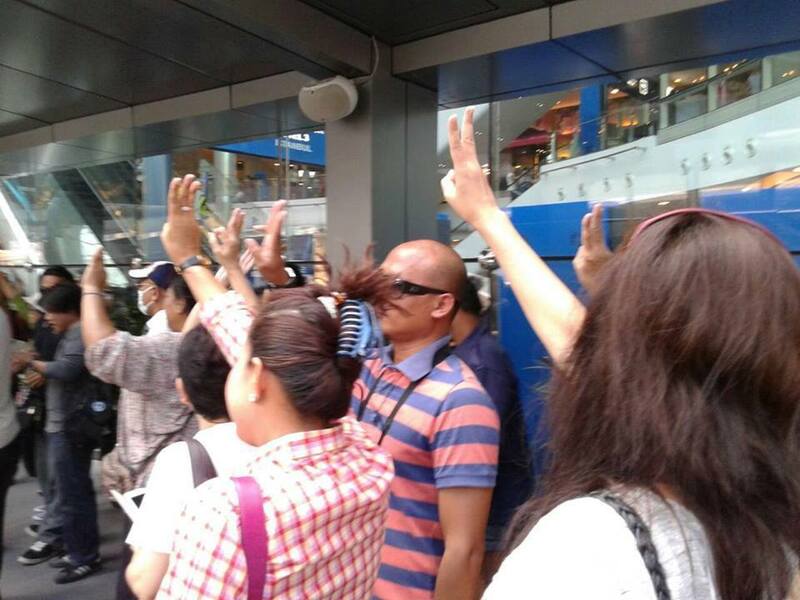 Abhisit’s deputy, Sutep, commented that the Red Shirts just “ran into the bullets”. There is documentary evidence that the names of both Abhisit and Sutep appear on the government orders to use force to disperse the protests. Of course these orders would not have been possible with the agreement or even the prompting of the military. So, yes, Abhisit and his government, and General Prayut, who was the top military man at the time, all have blood on their hands. They are murderers. Yet it is “illegal” to say this in public and the murderers remain free while democracy activists are in jail. Pai Daodin, a student democracy activist from the north-east, has now been jailed for two and a half years while the royalists who used violence to disrupt elections enjoy freedom. 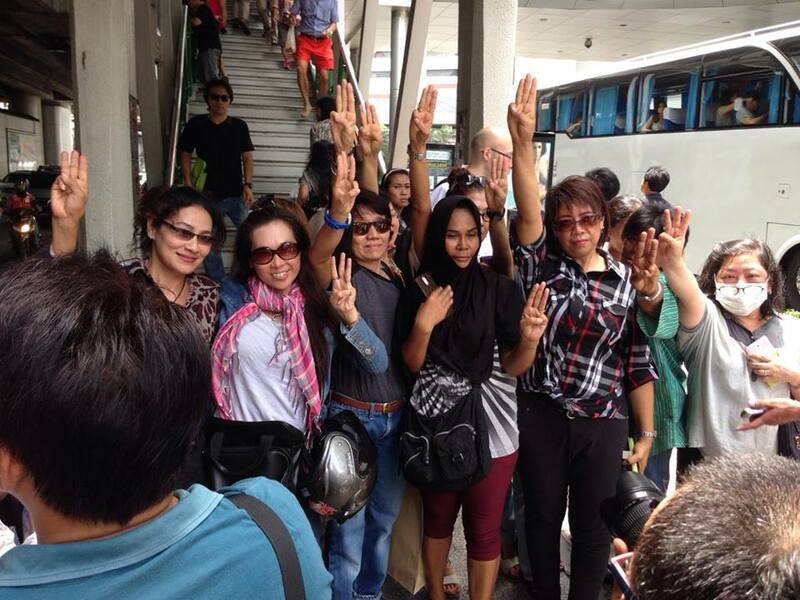 The standards of justice in Thai courts is non-existent. In general, the effect of being ruled by the present military junta is to destroy basic rights and stifle dissent at all levels of society. 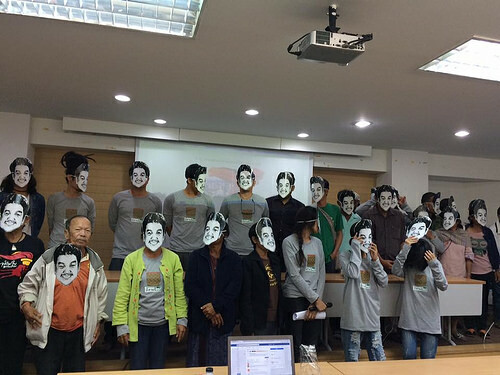 A recent seminar at Thammasart University, on the effect of 3 years of military rule on the people of the north-east, revealed that soldiers and local business mafia routinely collaborate to threaten villagers who are campaigning for land rights. Soldiers set up military camps in villagers and treat locals as enemies of the state. Even if elections are held next year, they will not be free and fair and any elected government will still have to conform to the diktats of the military. Now that the scandal of Rolls-Royce bribery of politicians and state official in Thailand has been exposed, we can draw some initial conclusions. 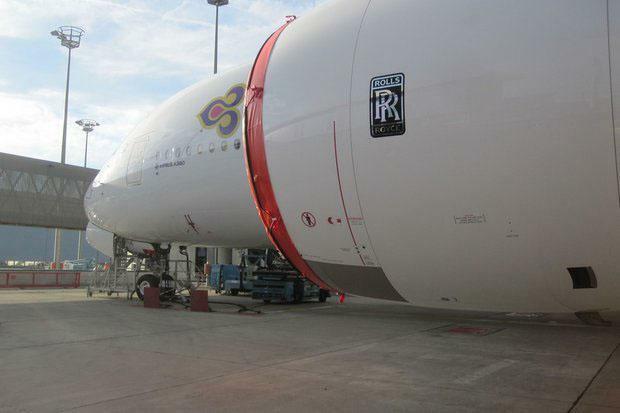 In the case of bribes to “encourage” Thai Airways to buy Rolls-Royce T80 engines for its fleet, bribes were paid a total of three times. Between 1991 and 1992, $18.8 million were paid. Between 1992 and 1997 another $10.38 million was given and between 2004 and 2005 a further $ 7.2 million was handed out. A further Rolls-Royce bribery scandal involves payments amounting to $11 million to “persuade” PTT Public Company Limited, the Thai state-owned SET-listed “oil and gas company”, to award a total of 6 contracts to Rolls-Royce Energy Systems, Inc. (RRESI). These bribes were paid at various times between 2000 and 2012. We do not know yet which individuals pocketed the bribes, and given the state of the police and the justice system we may never know. But what we can point to are the top state officials who should be held responsible for allowing this corruption to happen or for not instituting proper checks on large commercial transactions. 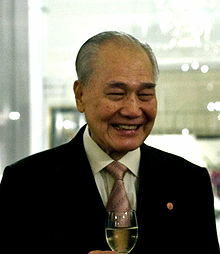 (1) Anand Panyarachun, technocrat and so-called “Mr Clean”, who was appointed as an unelected Prime Minister by the military junta, after the coup d’état in 1991. The power behind this Prime Minister was Dictator Suchinda Kaprayoon. 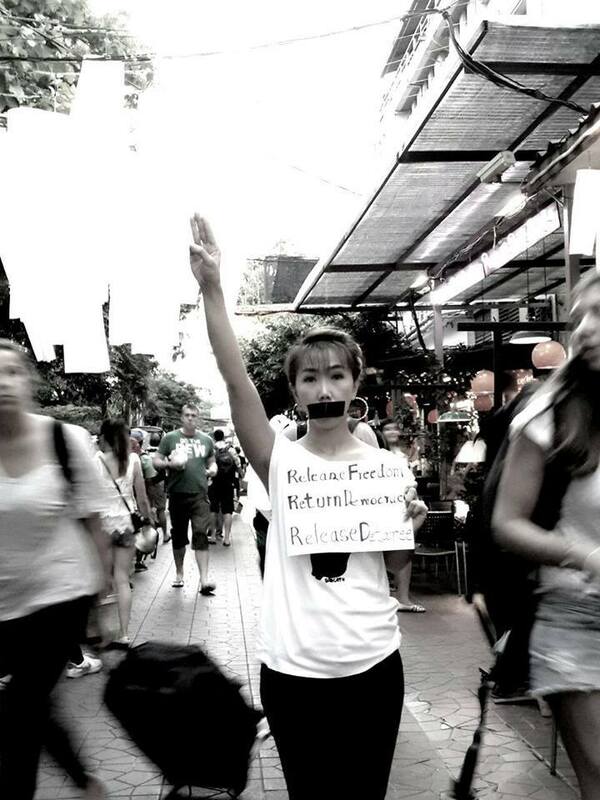 (2) Chuan Leekpai from the Democrat Party. (3) Banharn Silapa-archa from the Chart Thai Party. (4) Chawalit Yongjaiyut from the New Aspirations Party. 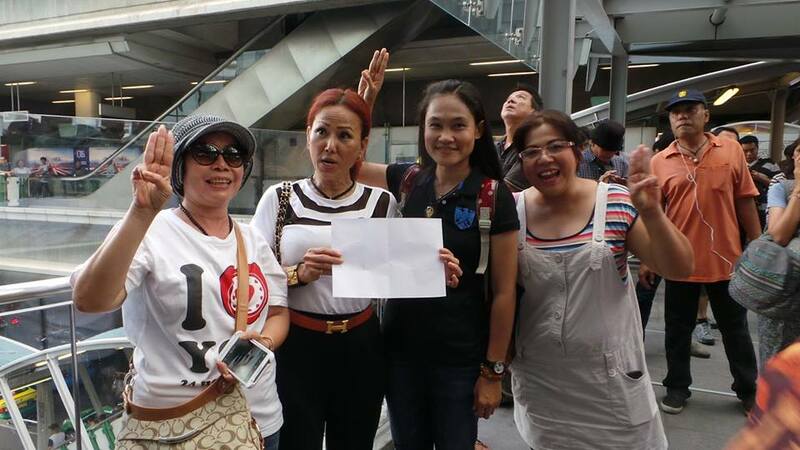 (5) Taksin Shinawat from Thai Rak Thai Party. (6) Surayut Julanon, military dictator following the 2006 coup d’état. (7) Unelected Abhisit Vejjajiva, Democrat Party leader, appointed by the military under Prayut Chan-ocha and Anupong Paochinda. 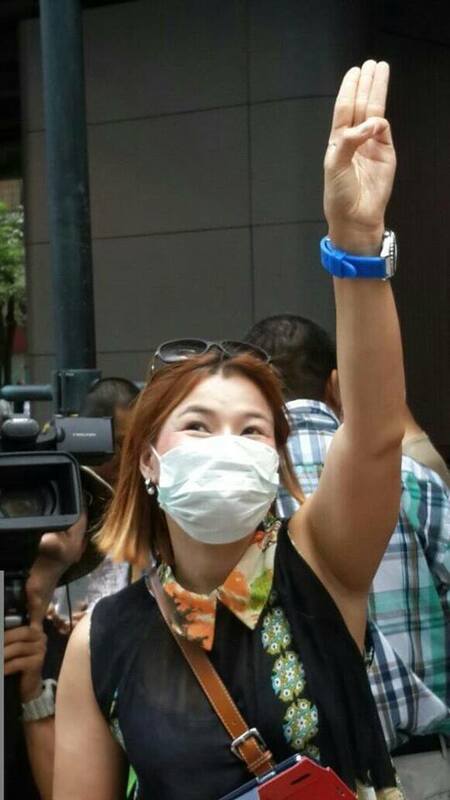 (8) Yingluk Shinawat from the Pua Thai Party. 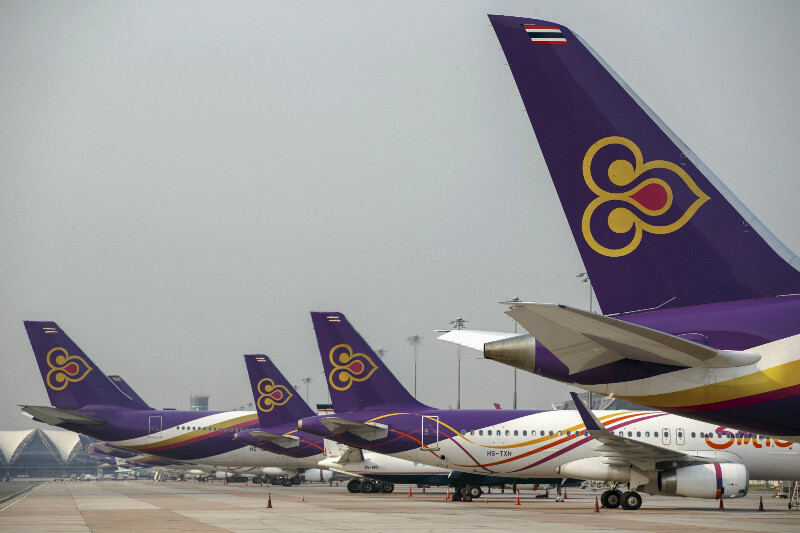 Some of the top officials at Thai Airways were military men and civilians associated with the 1991 coup and Thanong Bidaya, a Thai Rak Thai politician. Firstly, that rampant corruption has taken place and is still taking place under various military juntas who came to power in coup d’états, claiming to overthrow corrupt civilian governments. Given the long history of military corruption in Thailand under Pibun, Sarit and Tanom, this is hardly surprising. Even under elected civilian governments top generals sit on the executive boards of state companies. Secondly, corruption also took place under elected and non-elected civilian governments of all the main political parties, including Thai Rak Thai, the Democrats and supposedly technocrat-led governments. Thirdly, the entire Thai ruling class is steeped in corruption of both an illegal and legal nature. “Legal” corruption is taking place today because military generals have come to power and then appointed themselves and their friends and relatives to high paying positions. Fourthly, corruption is an integral part of the world capitalist system, with Western multinationals paying bribes on a regular basis to avoid so-called free market competition. Corruption is not just a Thai problem, it is also endemic in the USA, UK and other European countries. We can see this in the “conflicts of interest” in the Trump administration and involving British cabinet ministers and payments to members of their families and dishonest claims for expenses by French and British politicians. The difference between Thailand and many Western countries is that social movements, trade unions, opposition political parties and the press have more freedom and power to expose such corruption. 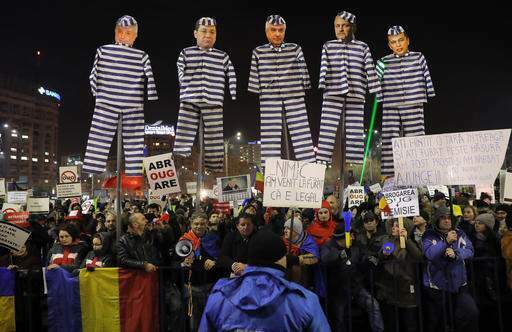 The crucial role of mass movements can be seen only this past week in Romania, where a mass movement forced the government to withdraw a law which would have white-washed corrupt officials. In Thailand, the problem of corruption is closely linked with the lack of freedom of expression and the weakness of independent mass movements from below, including the trade unions. Abhisit Vejjajiva is a slippery opportunist eel with a poisonous bite. Over the constitutional referendum Abhisit said he opposed the draft charter. He said it did not go far enough in tackling corruption. That was just a code for wanting a more authoritarian constitution. He was positioning himself to look good from both sides, aiming to be on the winning side, which ever it was. He also revealed his pro-dictatorship leanings by saying that if the referendum failed Generalissimo Prayut should sit at the head of the table and draft a new charter. Abhist and his fellow “Democrat Party” politician Sutep Tuaksuban have been playing a game of “good cop – bad cop” since their party wrecked the February 2014 elections. They were both part of the whistle-blowing middle-class mobsters who took over the streets and government buildings. While Sutep’s behaviour was more like a common gangster, Abhisit kept his distance, cultivatimg his upper-class English Gentleman image. He stayed away from any confrontations on the streets. Sutep is head of a local family patronage network of mafia-style politicians in the south. Abhisit comes from a rich Bangkok family that sent him to study at Eton and Oxford. But these two guys share the same political goals of trying to come to power in an old-style elitist political process of using patronage and the influence of the military. In the recent referendum discussions Sutep came out clearly in support of the military’s constitution while Abhist tried to take more discreet stance. But this was just the “good cop – bad cop” act. They both hate Taksin and all that he stood for in terms of building support among poor working people. Abhisit was a long-time critic of the universal health care system. He and his former finance minister, Korn Chatikavanij, are extreme neo-liberals who believe that the government should not provide free health care to the public. Abhisit, like former Democrat Party leader Chuan Leekpai, was always careful to claim that he did not support military coups, while doing absolutely nothing to oppose them. The Democrat Party has benefited from the end of military rule in the 1970s and 1990s while abstaining from the struggles to bring about such ends. Abhisit’s supposed opposition to military coups never stopped him from working hand in glove with the military. After the 2006 coup and the subsequent election victory of Taksin’s party, Sutep and Abhisit went along with the judicial coup which destroyed the elected government while yellow-shirted mobs tried to shut down the country. The military under Generals Prayut and Anupong then organised a new military sponsored government led by the Democrat Party. This was despite the fact that the Democrat Party has never won an overall majority in any election. Abhisit became Prime Minister. Of course, like Taksin, Abhisit and Sutep were not against the use of violence. Taksin murdered people in the southern Malay Muslim provinces and small scale drug dealers in his so-called war on drugs. When Abhisit and Sutep’s government was faced with mass Red Shirt pro-democracy demonstrators, who called for fresh clean elections, they did not hesitate to work with the generals to gun down unarmed civilians in the streets. Abhisit and Sutep’s attitude to this cold-blooded murder was to suggest that “unfortunately some people died”. Before that Abhisit had masqueraded as an “expert in democracy” to give a talk at St John’s College, Oxford, in 2009, where he had previously studied politics. Abhisit and the Democrat Party are just waiting for future elections so that they can once again be part of a civilian government, irrespective of whether the elections are democratic or not. The man is a contemptible and violent opportunist. The current military government is being run by generals with blood on their hands. Generals Prayut Chan-Ocha and Anupong Paojinda were responsible for the shooting down of unarmed pro-democracy demonstrators in 2010. At the time the military had appointed Abhisit Vejjajiva and Sutep Tuaksuban to lead an unelected civilian government. All four of them are responsible for this cold-blooded state crime. All investigations show that the bullets that killed the protestors came from the military. No weapons were discovered on the dead protestors. 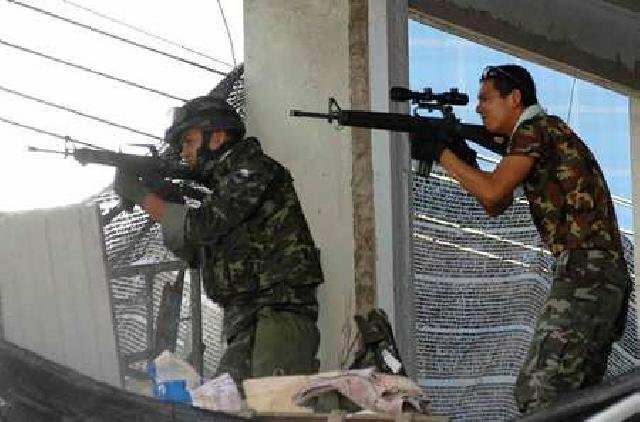 Reliable eye-witnesses reported that snipers were being used to indiscriminately shoot down civilians. There is photographic evidence to prove this. 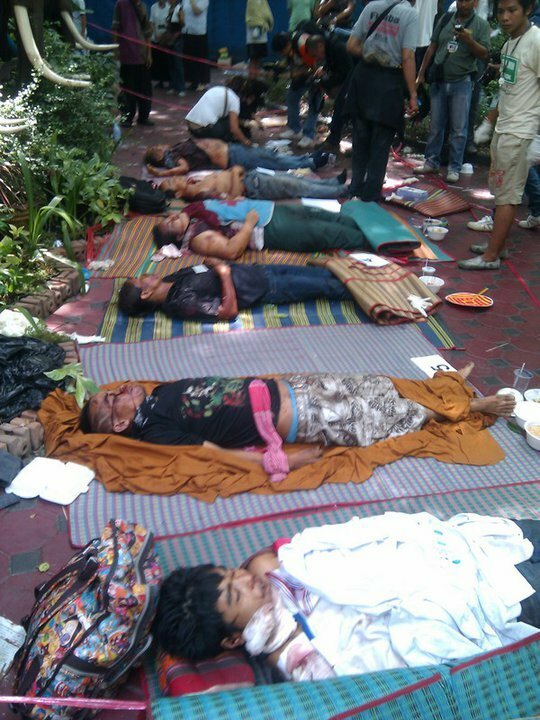 Some of those killed were sheltering in a Buddhist temple. One was a nurse. The military had also declared a “free-fire zone”. Yet a few days ago the murder cases against Abhisit Vejjajiva and Sutep Tuaksuban were dismissed by the courts. Thai courts have a long history of serving military juntas and the elites. Generals Prayut Chan-Ocha and Anupong Paojinda were not charged because the Yingluk government was hoping to do a deal with the military so that Taksin could return to Thailand from exile. The deal collapsed and eventually led to the May 2014 coup. 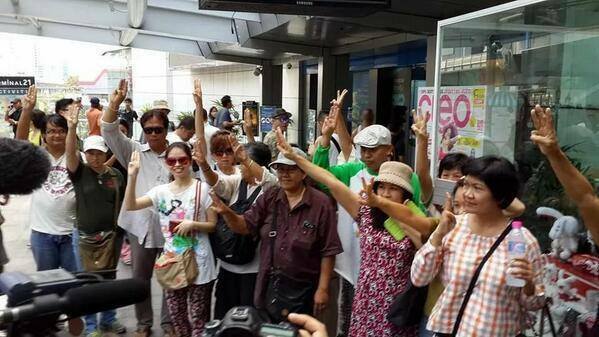 Today relatives of those who died at the hands of the military and Abhisit’s government staged a small protest. They have been arrested and charged with “libel” because they named the four key murders in the 2010 bloodbath. 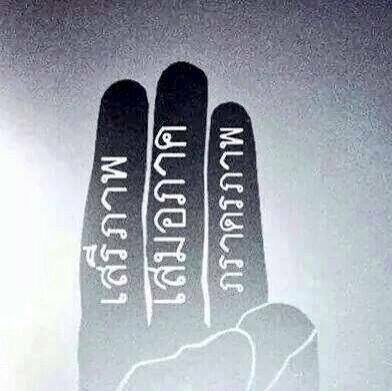 It is a crime to tell the truth and seek justice in Thailand today. But it is not deemed to be a crime for the state to kill unarmed citizens who seek democracy. Abhisit Vejjajiva, leader of the anti-Democrat Party has the bare-faced arrogance to address the senate, half of who were appointed by the military junta, and talk about his proposals to “solve” the Thai crisis. 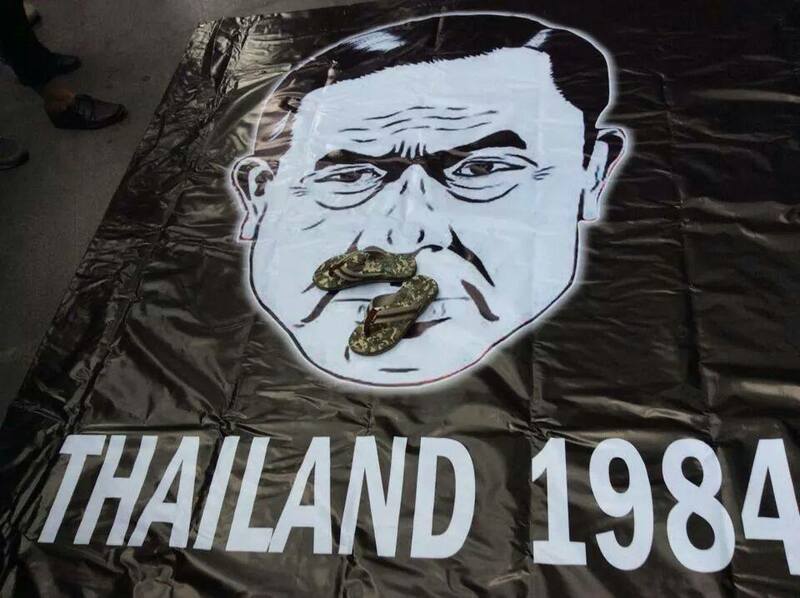 His proposals are just warmed-up pigswill which has been constantly regurgitated by his fellow party leader Sutep Teuksuban as he strutted about the streets of Bangkok with his armed thugs….Blah blah blah… “Thailand needs a neutral, unelected Prime Minister”. Given the depth of the political crisis, any “neutral” person would have to be either a complete half-wit or a complete lair. They would have to claim that they were neutral between those like Abhisit and Sutep, who want to destroy democracy, and those who wish to defend the electoral process. Abhisit started his elitist career by being sent to Eton and Oxford by his extremely wealthy family. He became head of the anti-Democrat Party, and as usual, the party never won a majority in parliament. It opposed Taksin’s universal health care and other pro-poor policies. He only became Prime Minister following a military coup and then a judicial coup. He was a puppet for the military junta and liked to go on speaking tours, talking in his posh upper-class English accent, about “Democracy”. On his watch as Prime Minister he and the army killed nearly 90 unarmed Red Shirts who were demanding democratic elections. He lied about that and lies pathologically about nearly everything. He and Sutep lie about Sutep no longer being in the same party. They might not technically be in the same party, but they definitely share the same filthy bed. As head of the anti-Democrat Party he was responsible for boycotting two elections because he knew that his party would lose. On both occasions this helped to precipitate a military or judicial coup. Even after the military took control and organised elections on two occasions, his anti-Democrat Party still lost to Palang Prachachon or Pua Thai. In his address to the senate, Abhisit talked, just like head gangster Sutep does, about “political reform”. In this vacuous discourse about “reform” there is no mention of the need to have freedom of speech by abolishing lèse majesté. There is no mention of the need to increase the democratic space by further empowering citizens and electing all people who hold public office. There is no mention of the need to reduce the influence of the military in society and no mention of establishing standards of human rights by bringing state murderers to justice. There is no mention of the need to create social and economic equality. Instead, Abhisit talks about the need for an unelected government to oversee “reform”, a process which, according to him, “could take years”. Abhisit’s so-called “reform assembly” would not contain members of political parties. In other words it would be stuffed full of unelected and self-appointed bureaucrats, military men, businessmen and conservative academics. The aim would be to try and gain more seats for the anti-Democrats by fixing the electoral process and by reducing the power of elected members of parliament. The man is clearly an authoritarian elitist: A liar, a murderer and a hypocrite. What do Thaksin Shinawatra, Abhisit Vejjajiva, Suthep Thaugsuban, Prayuth Chan-ocha and Prem Tinsulanonda all have in common? What they all share is the idiotic way in which their names are spelt in English. It is almost as if there is a conspiracy by Thais to spell names so that all foreigners who do not know Thai will mis-pronounce their names. Then backward Thais can laugh at the ignorant “Farangs”. What we have to remember is that in the Thai language there is no “th” sound (as in “this” or “that”) and there is no letter in the Thai alphabet which corresponds to the sound. Hence many Thais will pronounce an English “th” with a “d”. Even the word “Thai” or “Thailand” has an idiotic “h” added to it and I have often heard some Westerners pronounce the words exactly as they are written. Those old hands who have travelled to Thailand will no doubt have landed at “Suvarnabhumi Airport” in order to go on to “Phuket” after a few Singha beers. They may have travelled along “Phahonyothin Road”. What is even more appalling is that many Thai Airways staff even refer to “Fuket” instead of calling the island of “Puket”, as it is pronounced in Thai. The beer is also pronounced by those who sell it to tourists as “Sing-ha” instead of “Sing”. The airport is really called “Suwanapoom” and the road which I once lived near is “Paholyotin”. So the politician that all the anti-democrats love to hate is in fact “Taksin Shinawat” and the mobster leader is “Sutep Tuagsuban”. The appalling head of the army is “Prayut” and the past-his-sell-by-date privy councillor is in fact “Prem Tinsulanon”. The anti-Democrat Party leader is also “Appisit Wecha-chiwa”, not “Mr Vegi-burger” which perhaps his class mates at Oxford or Eton may have called him. So why all the spelling nonsense and the added crap at the end of names and words? Blame the conservative linguists and conservative educationalists. Thai spelling, even in Thai, is unnecessarily complicated. But at least where there are extra bits hanging off the end of words or names there is a “Karan” symbol to indicate that the specific letter is not pronounced. All this spelling nonsense was abolished in the Laotian language after the communist victory in 1975 and progressive Thais tried to bring in similar measures in the 1930s and 40s. Such measures encourage literacy among the general population and modernise the language to fit how it is used. But just as the conservatives want to freeze Thai politics and society in the stone-age, they also want to keep the language “pure” according to the conservative linguists. The linguists are fanatical about preserving the archaeology of the language to show its Sanskrit roots. They are the only people in the country who give a damn about this. They fail to see that language is a living organism, constantly changing by its use among ordinary people. Just like the anti-democrats, they only have contempt for ordinary people and their choices. The conservative linguists have decreed that when Thai names are written in English, all the letters in Thai, and even more, should appear in English without any “Karan”. They are fanatical in there explanation that the letter “ท” is not exactly the same as “t” or that “ภ and พ” are not identical to “p”. Maybe so, but they are sure as hell never like “th” or “ph”!!! I removed the “h” after the “p” in my surname long ago so that British people wouldn’t use it as a swear word. Just to further illustrate my point, I suggest that when we try to explain “democracy” to the block-heads in Sutep’s mob, we call it “demos-kratos” according to the original Greek. We can also talk about the economist “Adamus” Smith or the fictitious character “Alicia” in wonderland and the dangerous twins “Antonius” Blair and “Georgius” Bush, thus preserving the original Latin roots. Finally I would just like to say that it shows how far conservative racism has spread among Thais because the word “Farang” is as offensive as calling Thais “slitty-eyed Chinks”. In order to expand the democratic space in Thailand, we have to get rid of the military and the judiciary, but also revolutionise the language. I feel tired already. The 2nd February election cannot solve the Thai political crisis because those lined up against the government and the holding of democratic elections, are fundamentally opposed to democracy. The election was marred by violence from Democrat Party thugs who were determined to prevent the election taking place. 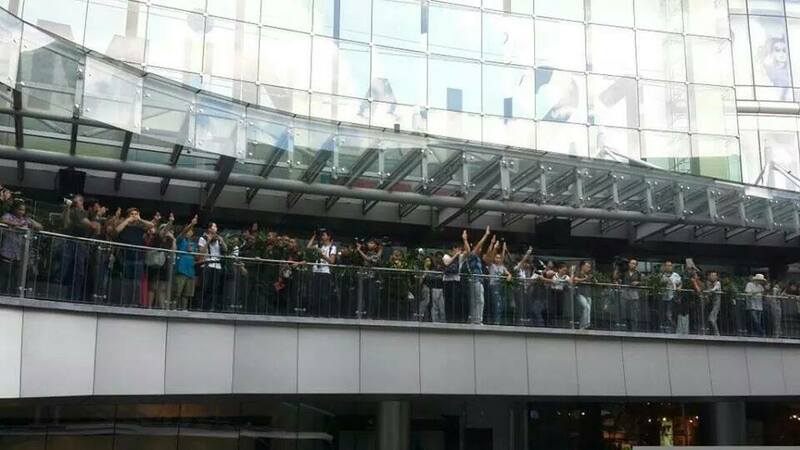 Armed thugs fired automatic weapons into crowds of people who were expressing their wish to vote. These thugs have been enjoying total impunity for over a month while intimidating voters and candidates. Democrat Party leaders such as Sutep, Satit and Abhisit want the electoral process to be changed so that the middle class and the elites can have an absolute veto over the views of the majority of the electorate. Democracy doesn’t work for them because they only have support from less than 30% of the population. They are supported in their thuggery by the Constitutional Court, the top civil service, the mainstream media, sections of the Electoral Commission and the NGOs. 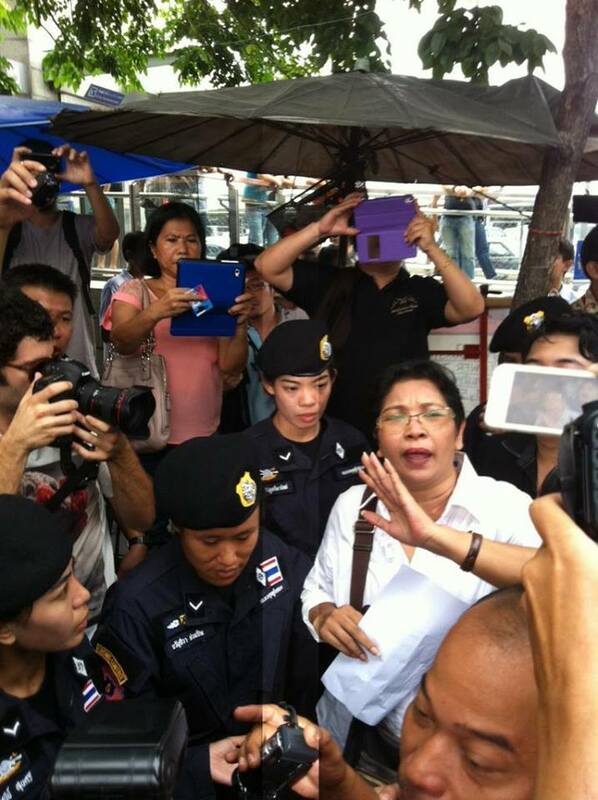 The military is happy to stand by and watch Yingluk and Pua Thai’s discomfort. They may not want to stage a coup right now, but they will not lift a finger to defend democracy and the election. They want Yingluk to make more concessions to those who are opposed to democracy. Despite the violence and intimidation, voting took place in most provinces and 20.4 million people cast their votes. This compares to 35 million in 2011. Given that the Democrat Party has in the past won no more than 14 million votes, and that in this election they called for a boycott, the turn-out was not too bad. 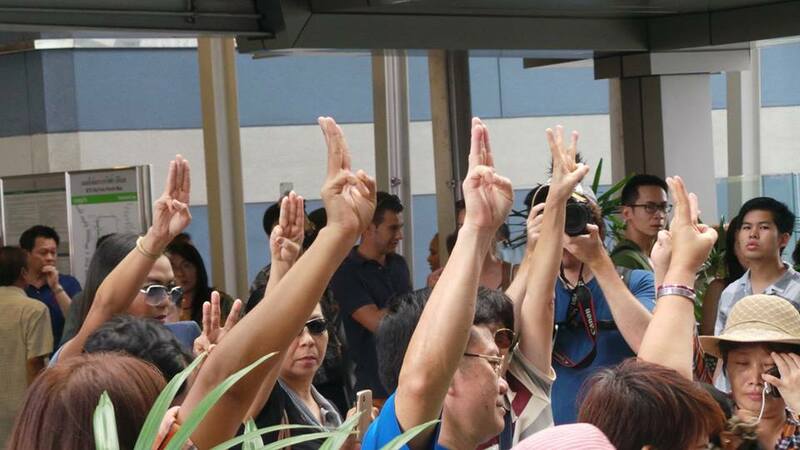 It can be assumed that more than 20 million people wish to preserve democracy and many of those support Pua Thai. No amount of compromise or negotiations with the anti-democratic thugs will solve the crisis. The only short-term result would be shrinkage of the democratic space and the further empowerment of those who view the majority of the electorate with contempt. 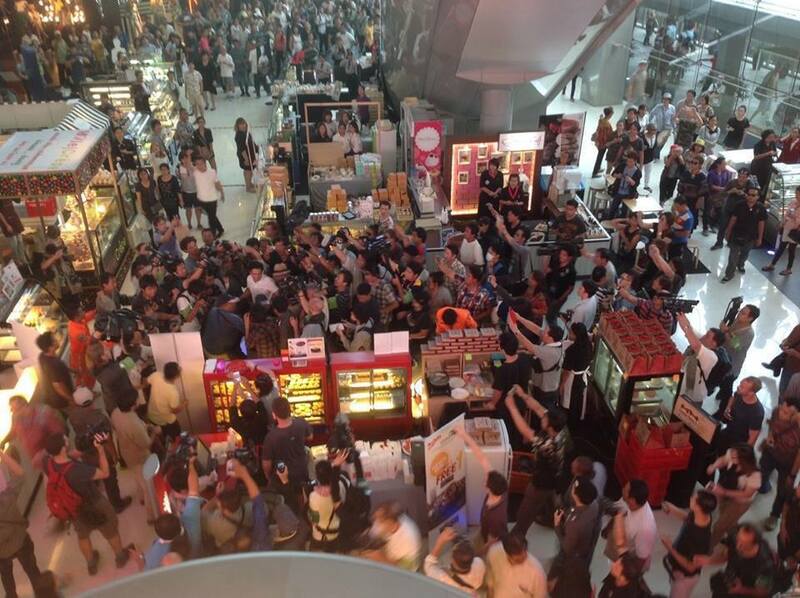 No amount of outrage at the violence and impunity of the thugs will push Yingluk or Pua Thai or the authorities into a crackdown on those committing criminal acts. 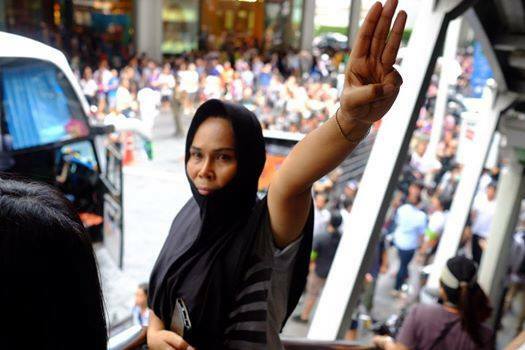 As I mentioned in a previous article on “permanent Revolution” in Thailand, Yingluk would rather do a dirty deal with Sutep than to mobilise the Red Shirts and the general population to fight for democracy. This means that pro-democracy activists, whether they be progressive Red Shirts, pro-democracy trade unionists, White Shirts, Nitirat supporters, socialists, or members of the Forum for the Defence of Democracy, all have to work together to prevent the destruction of the democratic space. They should also push forward with real reform proposals which will increase rights and the empowerment of the majority. 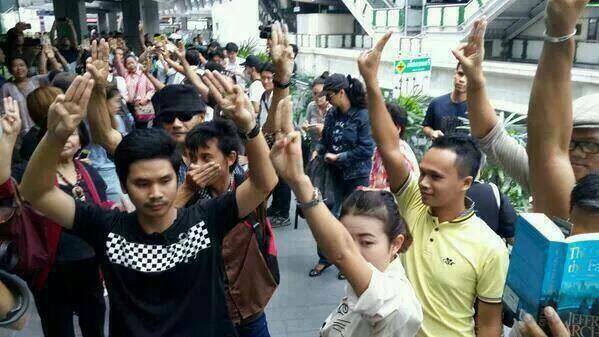 The future of Thai democracy lies in their hands.